Today due to the rapid development of Internet technologies and the digital industry, advertising on the Internet is becoming the most promising direction in the global field of the entire advertising industry. 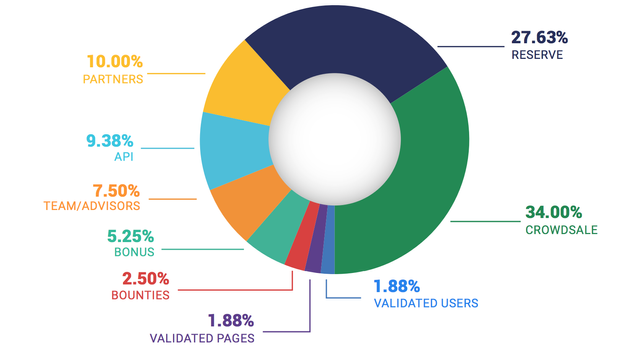 It is on the Internet is located more than 10 % of all advertising in the world. But despite the rapid development, Internet marketing is still inferior to other types of advertising. This is when users simply ignore banner ads, I, by the way, also usually do not pay attention to all sorts of pop-UPS in browsers, they only distract. A lot of advertising on the Internet is a Scam. They can even lead to sites with viruses and phishing sites. For this reason, people once caught on the bait of such scams, forever cease to believe advertisements on the Internet. Usually, the customer of the advertisement pays the intermediary for each viewing of its advertising, which can be wound, as a result, no benefit from this does not come out, and the money for the views has already been paid to the advertising company. Every year, advertisers waste millions of dollars. Today, a large number of services have been created that block advertising on the Internet. According to PageFair research, more than 200 million people around the world use ad blockers today. This also has a negative impact on the entire segment of the world of Internet marketing. Today, almost a third of the cost of any product is due to the manufacturer’s marketing costs. It turns out that people pay for the air, but without the huge cost of advertising the manufacturer will not be able to sell their goods, so it turns out a vicious circle. All these problems prompted the developers of the SaTT project to the idea of creating a unique advertising platform on the blockchain, which, thanks to the latest developments of recent years, is able to bring the advertising industry on the Internet to a new level. SaTT is a project through which manufacturers are able to advertise their products on the most favorable terms. 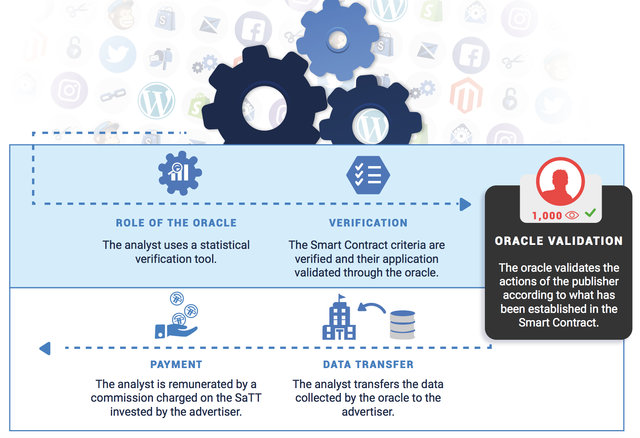 SaTT can be decoded as “smart token for advertising operations”. The project is developed by ATAYEN, a company specializing in business application development and media marketing. Customers and active users of the Atayen service are such world-famous companies as IKEA, ASUS, McDonald’s. Monitoring of actions, that is, it will be seen what kind of action the user performed and what reward he earned for it. The entire course of the advertising campaign can be adjusted during the process, that is, to configure how best and test for the greatest benefit. 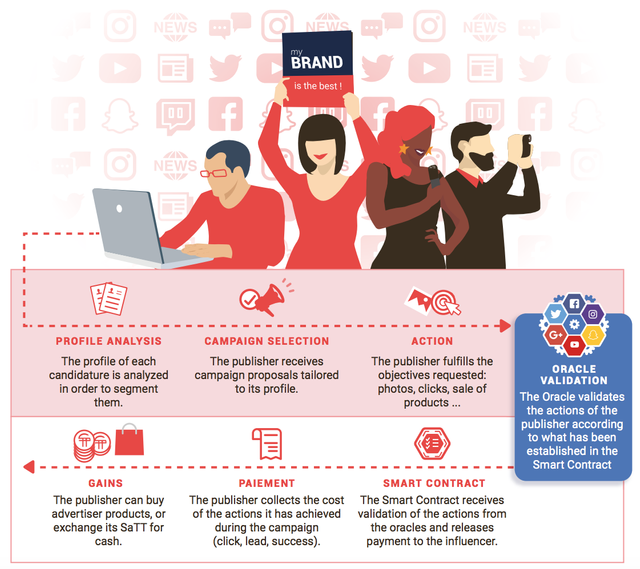 This approach is much better and more versatile, it will save money on advertising, which in turn will reduce the cost of the advertised product, as on the platform people will be able to earn income for views, likes or reposts of advertisements. Once the ad is placed, the advertising campaign begins. Everyone who took part in the promotion of the advertised product or simply viewed the ad is rewarded with satt tokens. These tokens can then be exchanged for regular money or for a manufacturer’s product that the user helped promote. 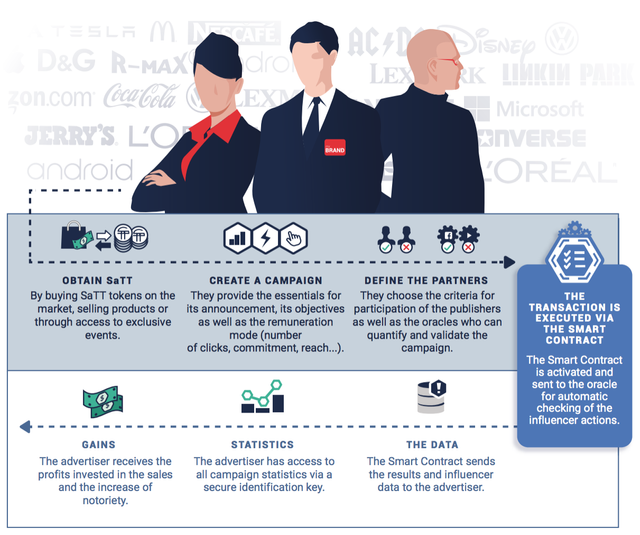 SaTT is able to make a real revolution in the advertising industry. 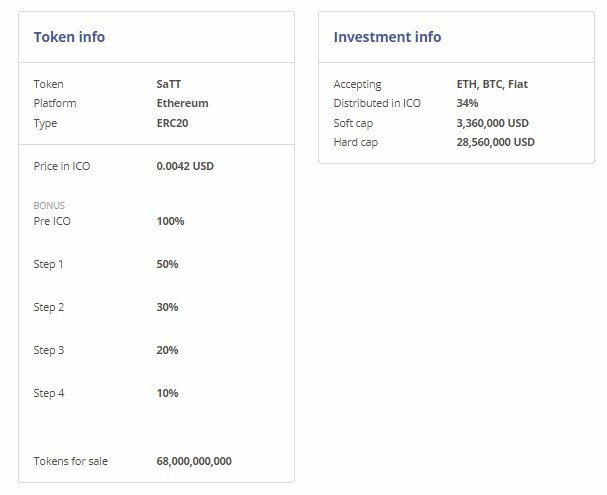 Thanks to all its innovative solutions, the SaTT project has huge advantages over all other advertising companies, advertisers will undoubtedly see the prospects and become active users of the SaTT ecosystem. This will be beneficial for everyone, both advertisers and us, because the products will become cheaper for end users. The company has a highly qualified team of specialists, excellent ratings and a finished product that can really make our world a better place. In General, the project is very interesting, for more detailed information you can follow the links below.